As the world’s largest social networking site, Facebook represents a tremendous opportunity for developers who want to reach and engage with large numbers of people. 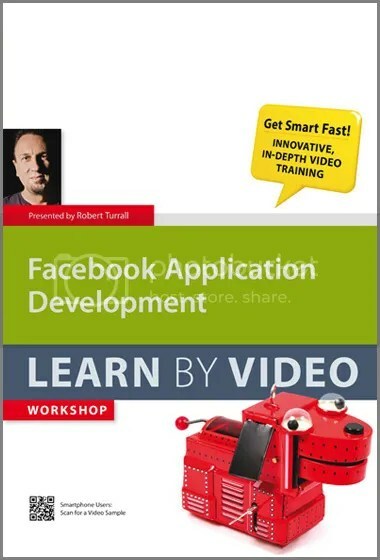 In this course, creative technologist and trainer Robert Turrall guides you through the Facebook Platform structure, teaching you how to ensure that users authorize your application — which will in turn grant the permissions your application requires to access their data. You’ll also learn how to access users’ photos, videos, and news feeds, as well as how to create Wall posts and send requests, use social plugins to add Facebook interaction to external websites, and integrate Flash applications with Facebook. Throughout the course, you’ll learn to work within Facebook’s privacy guidelines and rules, keeping both Facebook and your users happy. When you’re done, you’ll be fully prepared to develop and implement engaging and entertaining applications. The videos in this chapter will provide you with the background knowledge you need to start using the Facebook Platform for Developers. This chapter will take you through the basics of storing Facebook user data in your application and offer advice on how to do so while complying with Facebook guidelines. Many Facebook applications access and use a user’s photos or videos. This chapter will take you through the Graph API methods and techniques involved in building galleries or retrieving specific media. This chapter will take you through the Graph API methods and techniques used to post status updates to a user’s Facebook Wall. A key feature of Facebook applications is the ability to let users invite friends to try them out. In this chapter youvll learn how to go about sending invitations and other types of requests to a user’s friends. With Facebook Places, Facebook has entered the location-aware space. This chapter will show you how you can access and use a user’s Facebook Places Check-in data. In this chapter you’ll learn about Facebook Pages and how to add an application to a Facebook Page. This chapter will cover the Facebook social plugins used to connect external websites to the Graph API and show how to access Graph API data from those sites. Social plugins provided by Facebook allow you to add varying levels of Facebook functionality to your website or blog. This chapter will look at the plugins available and show you how to use the most common ones. Facebook allow you to create special “test users” to assist in the development of your Facebook applications. In this chapter you’ll see how they’re created and how to use them. If you want to add real interactive gaming experiences to your Facebook application, you’ll most likely want to use Flash. This chapter will cover some of the ways in which you can integrate Flash content into your Facebook application.